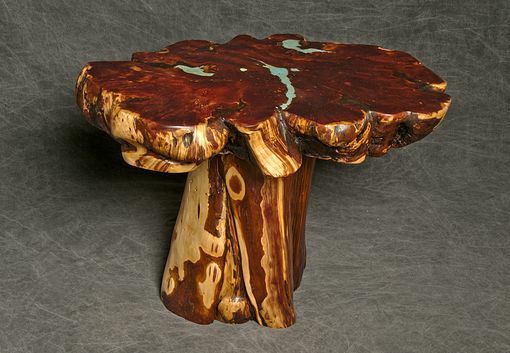 This end table was made from a dead standing Cedar Burl. The top slab is a cutting from below ground level and has an intricate grain pattern. 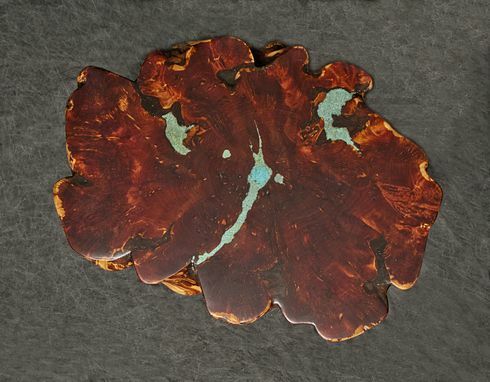 All edges are the natural living edges.The top has been inlaid with two different kinds of Turquoise that creates a gorgeous contrast with the deep tones of the wood. Table dimensions vary but are approximately a full 4 " thick x 28 " L x 20" W with a height of 21.5 ". The unique spiral base gives the piece a beautiful symmetry. 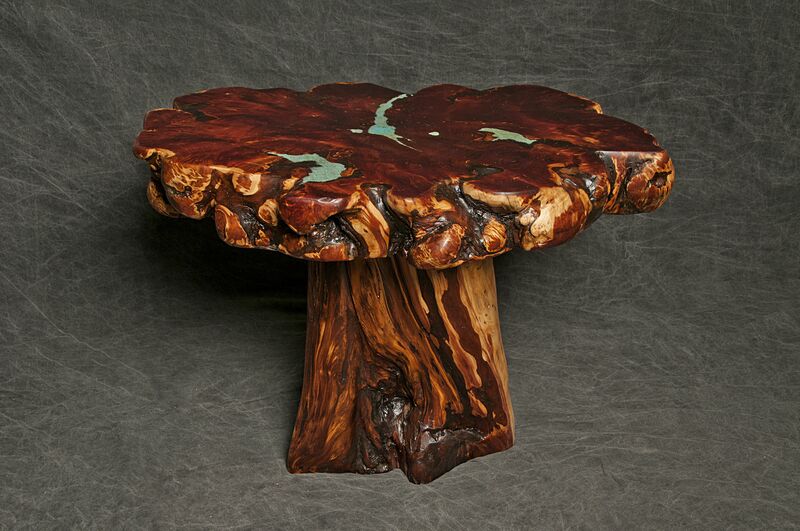 The table base has been mortised into the top and is built to last for generations to come. Over a dozen coats of finish have been applied to give the piece a satin luster that has great depth. A truly one of a kind piece that artistically combines the elements of the Southwest.